To begin the application process for TOJ, click here to complete an Interest Form. Followed by continued job coaching and placement support. 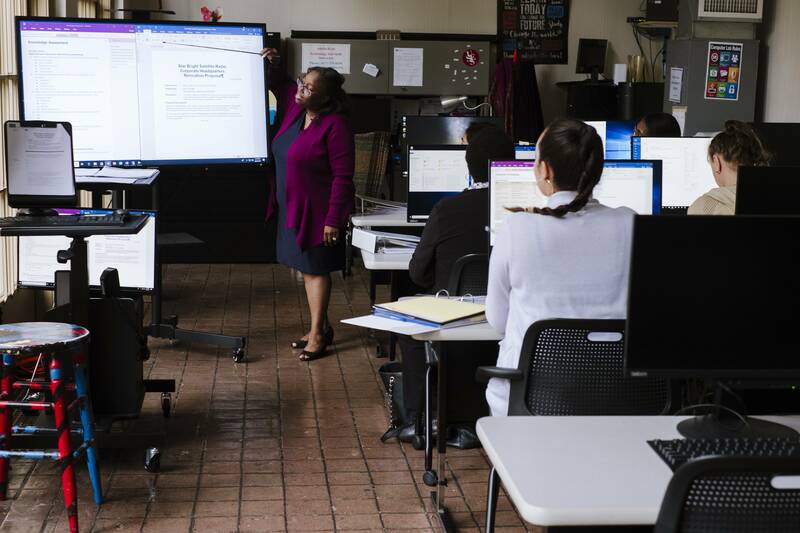 Our Training for Office Jobs program is designed to help participants improve a variety of computer and workplace skills, enabling them to transition into administrative work upon completion of the program. Participants will gain the necessary skills for administrative work, including typing and Microsoft Office; soft skills such as time management, worker accountability, goal setting, customer service and problem solving; job readiness and job searching skills. All participants are supported by a Job Coach/Job Developer who integrates the ACT Career Ready 101 in the classroom and provides one-on-one coaching and support in resume development, job searching and placement, interview preparation, and more. Applicants are required to have a high school diploma or HiSET, pass a computer assessment, pass a reading TABE at the 9th grade level, type at least 18 words per minute, have at least 12 months of work experience, and provide two professional references. This training is Section 30, ITA, and SNAP approved. Participants in USES’ job training program have the opportunity to build and enhance their academic, work, and soft skills through our career readiness curriculum. Lessons and activities will include developing educational plans, job readiness preparation, time management, building positive work ethic, personal budgeting and other topics to make a student’s next steps’ plan successful. Students will also participate in resume and cover letter workshops, mock interviews, and attend college and job fairs. Participants will receive support in identifying and securing employment with local employers, and will create a portfolio which includes their career plan, resume, cover letter, job inquires, application practice and thank you letters. There will be planned career workshops and job fairs based on the labor market needs. Open Access Lab – Free and Open to the Public! United South End Settlements, as a member of the Timothy Smith Network (TSN), provides an open access computer lab at 566 Columbus Avenue for free community use. The lab has 17 computers and is open to the public Wednesdays through Fridays from 2:00 pm to 5:00 pm. All users must complete and submit an intake form and sign the Acceptable Use Policy. All users must also sign in at the front desk and in the lab. We ask all users to keep the lab clean and orderly. Rules and regulations are posted and must be followed to ensure continued use of the facilities. For more information on job training, please contact Adella Ryan at aryan@uses.org or (617) 375-8196.